Global Guardians | News | Is your vacant property being secured the best way? Is your vacant property being secured the best way? Property guardianship is about so much more than issues of security, it is about social responsibility and about income generation, so much in tandem with topics high up on both the public and media agenda. The housing crisis and shortage of affordable accommodation, especially in our inner cities, will regrettably continue for a good number of years until a way is found to rationalise the property sector to the satisfaction of all the various stakeholders. By realising the full potential of our property owners‘ assets, Global Guardians are able to generate a revenue stream through exciting and innovative projects, which include, but are not limited to, filming, photo shoots, corporate events, art exhibitions, car park monetisation and advertising hoardings. Our location team will assess the property’s potential for VIP activity and will provide a complete breakdown of what we expect to achieve from the site. We will then advertise and market your property to our well-connected group of location specialists. Once the client is happy with what has been proposed, we will manage the projects from start to finish, ensuring everything runs smoothly and the property is returned to us in the same state as before. We encourage both our guardians and our staff to help those in the communities around our properties, particularly the elderly or disabled. This can be anything related to the care of their properties, especially small maintenance jobs or a bit of gardening. We take a headache away from our property owners. No stress or worry about their property being looked after and kept clean, safe and in good repair. This is all about keeping our precious historic buildings from deterioration and we understand how to pay particular care to those in our portfolio. This is ideal for property owners who are stuck with a property that appears otherwise unsaleable and unwanted and may need a fresh pair of eyes. It also assists those owners who may be located overseas and need independent, professional advice. Anything other than the very basic cover is often difficult to obtain by the asset owner and this is commonly known as ‘FLEA’, which are the perils of fire, lightning, explosion, and aircraft. Freeholders should check to see if the cover extends to include Property Owners Liability, as not all FLEA policies are the same and it is worth remembering that even if individuals trespass into a vacant building illegally or unofficially, the property owner may still be liable for any mishap which might occur. Property owners often, and quite naturally, want more than the basic to ensure there is a greater degree of cover in place for their asset and if a lender has a charge on the property concerned, then they will insist on a wider scope of cover. Surprisingly, many insurance providers do not take into consideration the presence of guardians in an otherwise vacant property. Because of this, Global Guardians have arranged for one of their preferred partners to assist clients with getting the appropriate cover. Due to the temporary nature of the security service provided by Global Guardians, a ‘change of use’ is not generally necessary to reduce costly empty building rates. It is due to the fact that our property guardians are living in the property under a weekly licence agreement, that can be terminated at any time with just four weeks’ notice, which means the building is occupied but only temporarily so. Therefore, council tax and not business rates apply and there is a huge difference in cost between the two. 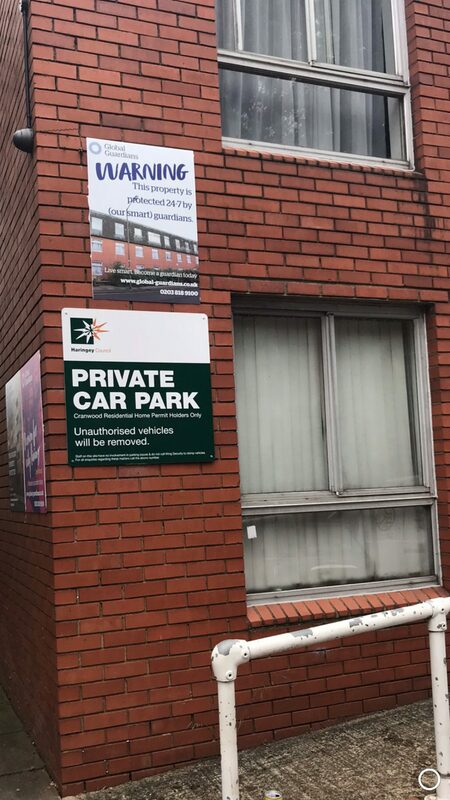 From the moment the property guardians are living in the vacant property until the time the owner requires the building back for its intended use, the empty building/business rates reduction will be upheld. We have become experts in this temporary conversion and save money for our clients in virtually every situation. If there are people in situ, living in a property 24/7, so it neither appears empty nor abandoned and is obviously being looked after, trespassers and troublemakers will invariably go elsewhere. Barricades, metal screening, boarding and all the rest of the usual security hardware will always have a weak point, and determined trespassers will find a way in. Likewise, with technology – CCTV, sensors and alarms; it’s not feasible or affordable to put them in every room, especially if it is a large building. The alternative of security guards and dogs can’t be there 24 hours a day, the budget for that is also simply impractical unless there is a very good reason; if a team of guards is rostered 24/7 at current rates, costs can run into tens of thousands of pounds a month. Becoming a property guardian really can be a life-changing opportunity for a lot of people. Licence fees can be significantly lower than normal market rent in the UK. This can make an enormously positive impact on anyone’s life, enabling many to save for a deposit to get a mortgage on their own home or allowing them to live so much nearer to their place of work. No more long and expensive commutes which can be such a boon in so many ways. In the Chancellor’s Budget statement at the end of 2017, it was suggested that the country needed some 300,000 new homes to be built annually to meet demand and stabilise the remorseless rise in property prices seen over the past two decades and there is still an ongoing debate as to how achievable this is. • The building will be empty for a minimum of three months. There are an enormous number of long-term empty properties around the country that meet these conditions, c. 250,000 according to UK government estimates and Global Guardians are experts in temporary conversions of commercial buildings to provide living quarters. Why not call and see how we can assist you?